My students love using bingo daubers! 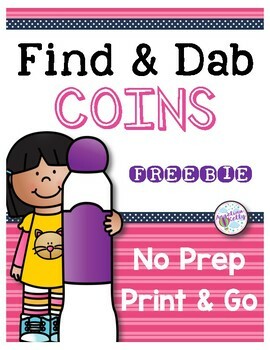 I created these pages to practice coin identification for penny, nickel, dime and quarter. Each page has images from the front and back of the coins. For students who need extra help there images of coins they are looking for are included in the directions of the second set of these worksheets.